← Why Didnt We Think of Adding Au Jus to Short Rib Sandwiches Before? There about 20 or so types of french fries out there and crinkle cuts are by far the best vehicle to deliver cheese sauce to your face. Caveat: they must be well done, crispy, hot and salted. You cannot bake, undercook or under season them and expect good results. Crinkle cuts must be properly cooked but when they are — ?, you’re ? are ?! One restaurant that gets it is Smacks Burgers in Sarasota, FL. If you’re anywhere in or near the area, you need to eat them. BONUS: Get the “Mac Attack” Burger topped with pulled pork and Mac and cheese. 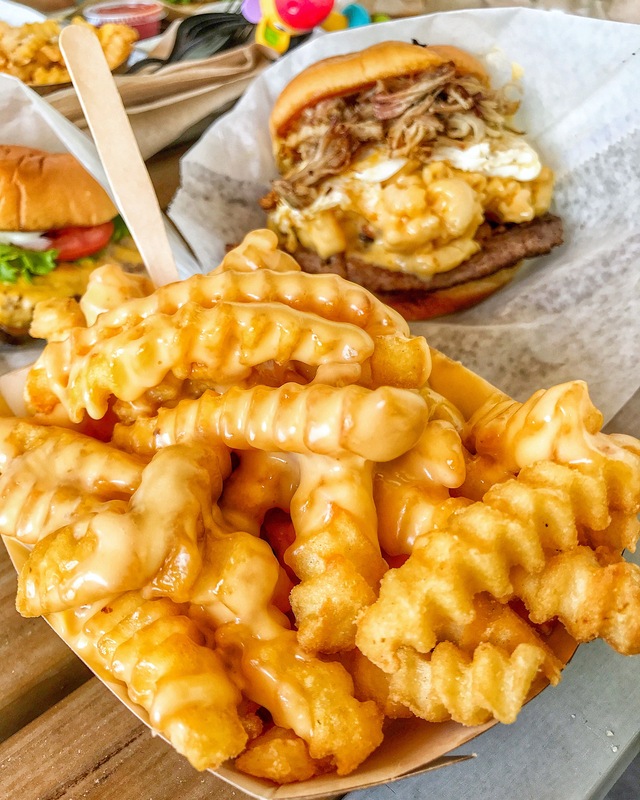 This entry was posted in Burgers, Florida, French Fries and tagged burger, crinkle cut, fl, french fries, mac-n-cheese, pulled pork, sarasota, smacks burgers. Bookmark the permalink.